President Trump weighed in on the race for chairmanship of the Democratic National Committee on Wednesday, commenting on one candidate in particular. 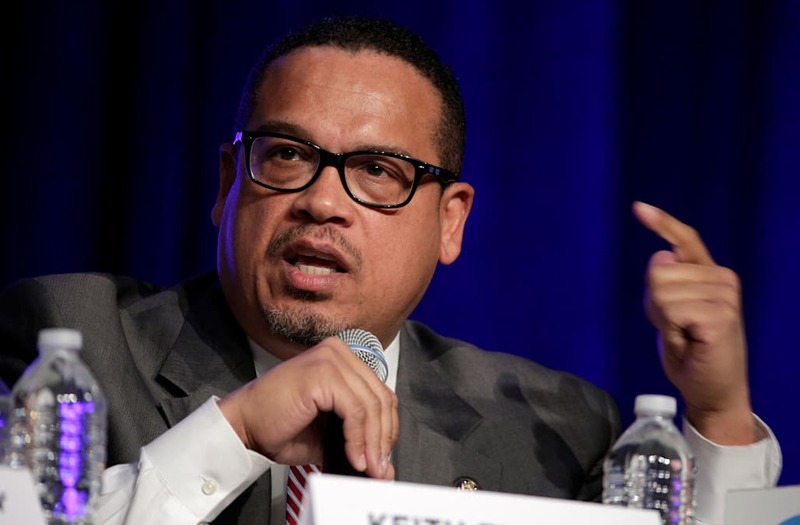 Rep. Keith Ellison of Minnesota is one of six candidates gunning for the Democratic leadership position, and Trump tweeted a relatively positive message about the congressman on Wednesday morning -- noting his "early" prediction that Trump would win the 2016 presidential election. "One thing I will say about Rep. Keith Ellison, in his fight to lead the DNC, is that he was the one who predicted early that I would win!," Trump tweeted out. Trump's tweet is likely in reference to a 2015 interview with ABC's "This Week" with George Stephanopoulos -- in which he says Democrats "better be ready for the fact that he [Trump] may be leading the Republican ticket." "I know you don't believe that," Stephanopoulos responded. "Stranger things have happened," Ellison told the panel. Ellison has been endorsed by notable Democrats the likes of Rep. John Lewis, Sen. Bernie Sanders, Sen. Elizabeth Warren, Sen. Chuck Schumer, Mayor Bill de Blasio of NYC, Arizona Democratic chair Alexis Tameron, Washington Democratic chair Tina Podlodowski, Rep. Tulsi Gabbard and Sen. Martin Heinrich. Former Labor secretary under Barack Obama Tom Perez -- another frontrunner in the DNC race -- has garnered more establishment support, with endorsements from former vice president Joe Biden, former attorney general Eric Holder, former Health and Human Services secretary Kathleen Sebelius and former Agriculture secretary Tom Vilsack.